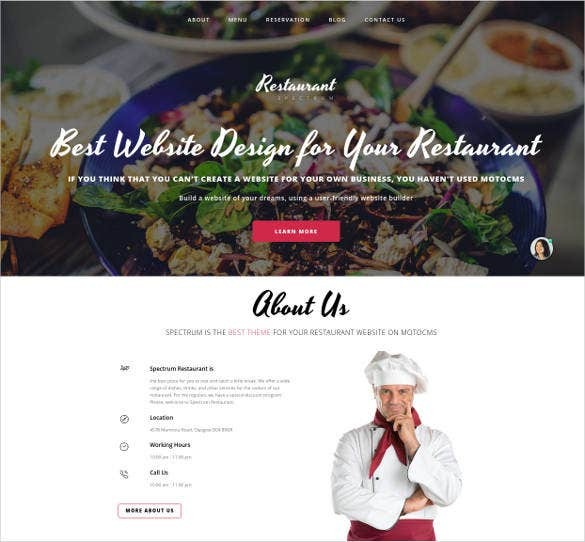 Elegantly structured and completely loaded with essential plugins templates are the perfect platform for developing your restaurant’s webpage. 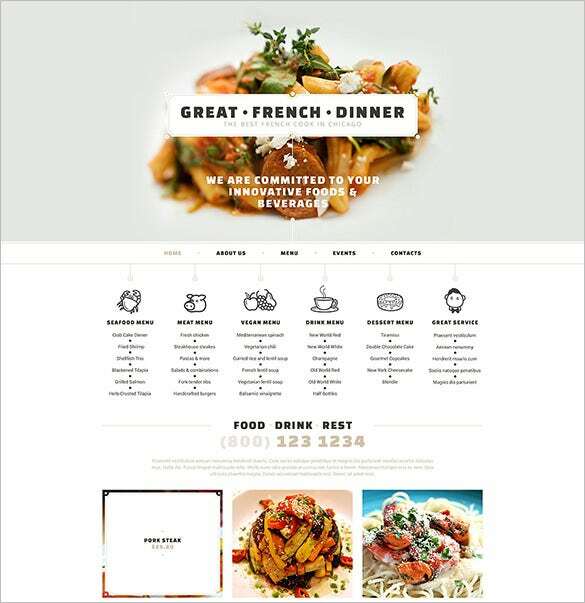 With preset color variations and multiple page layouts, customize your page to suit your theme. 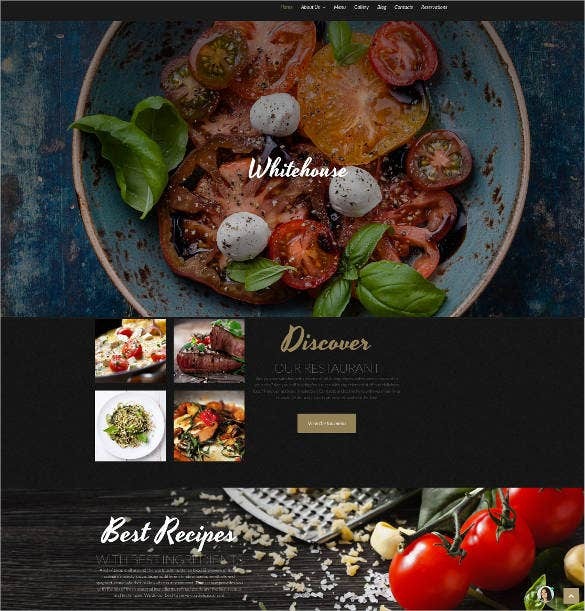 Choose between traditional column style layouts or fluidic single page layout using the free food and winery template designs. 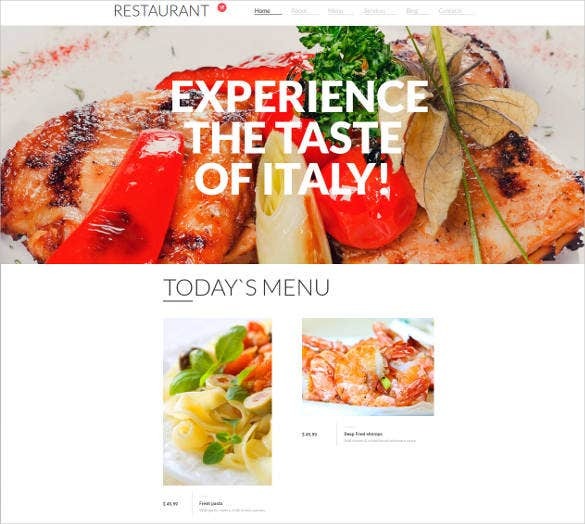 The themes also include hundreds of sample image PSDs for instant utilization.You may also check Restaurant HTML5 Website Themes. 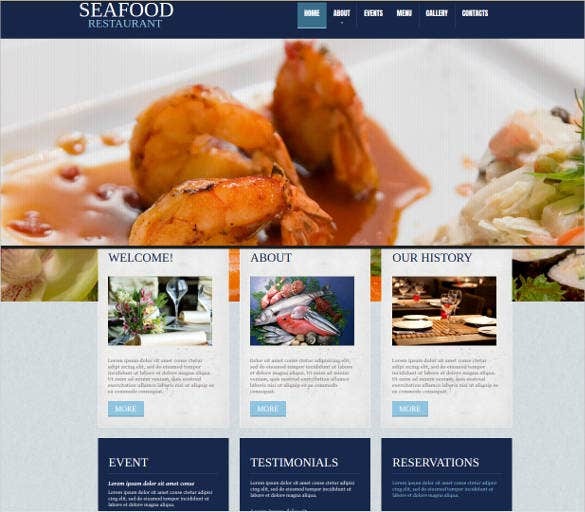 You can use this template to show off the reviews you have received for your restaurant. 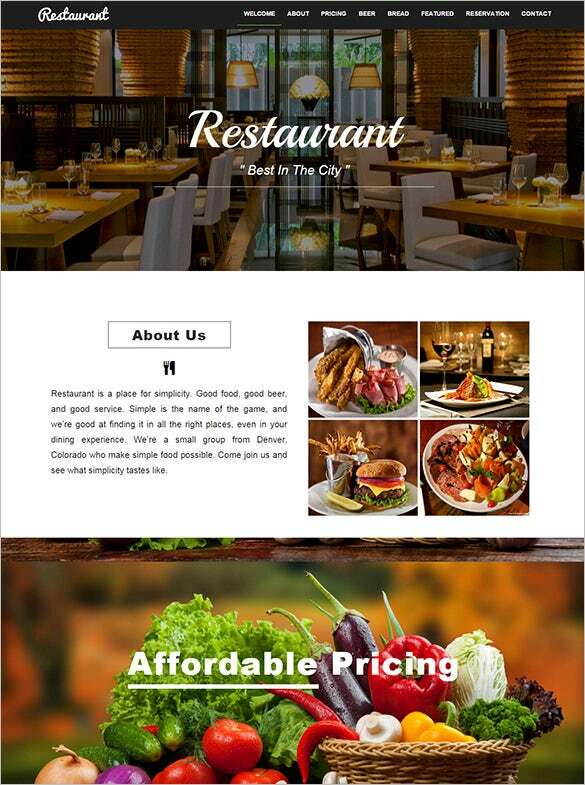 The page will contain all the reviews about the restaurant, be it good or bad so that the people can have an idea about the service there. This is a really good template for such a low price. The cosiness of the restaurant can be felt from the dimly lit ambience of the restaurant. This template is very good if your restaurant holds a few nice dinners. This is a template where you will have everything in one page. 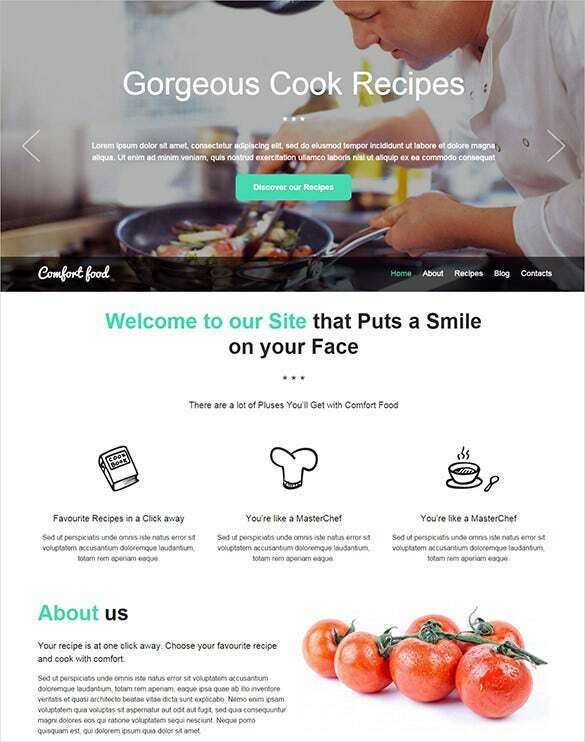 For a cooking blogger, this is the perfect template where you can post all your cooked meals along with their recipes. The template shows the piece of beautifully cooked meat. 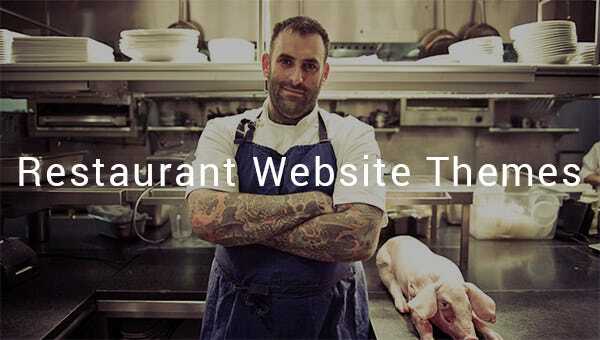 The picture says a thousand words and if you have such beautiful food on the website of your restaurant, you are bound to have a lot of diners. 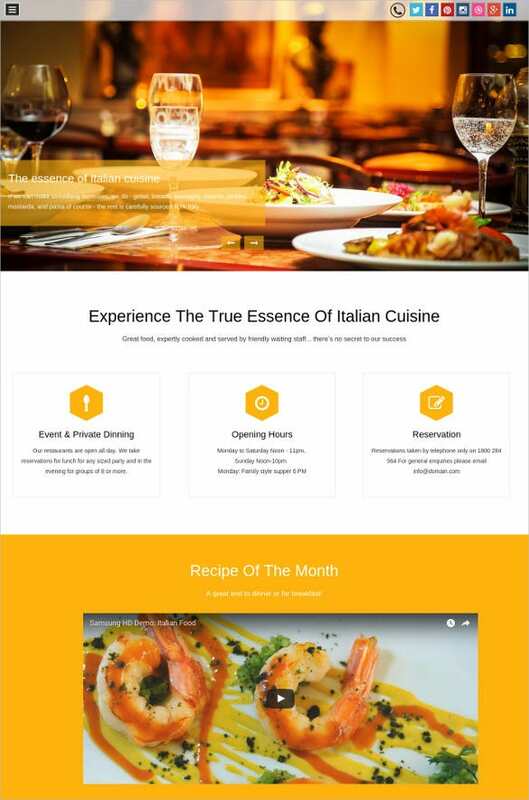 The responsive restaurant HTML template is very much required by the blossoming food counters, take away, and home delivery counters. 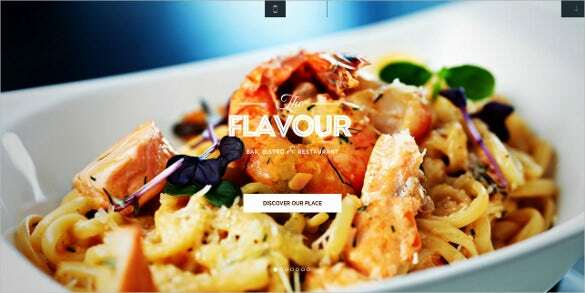 With multiple layout style, this template is easily customizable using the software Adobe Photoshop CS+. 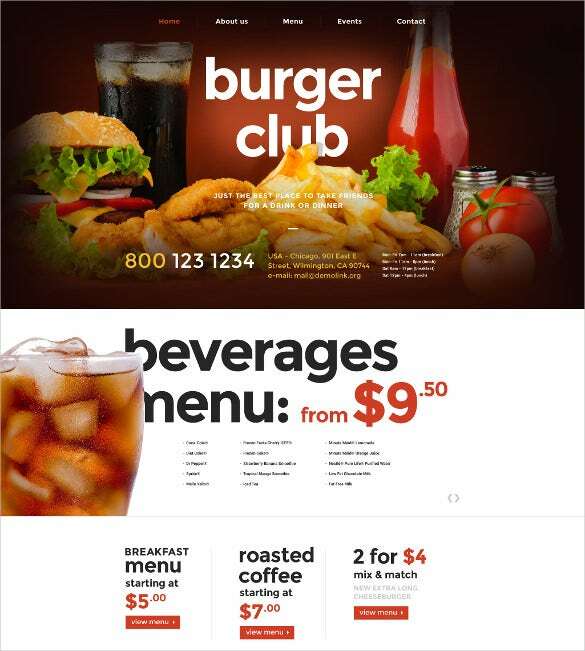 This template also has numerous HTML short codes which help creating objects easily. 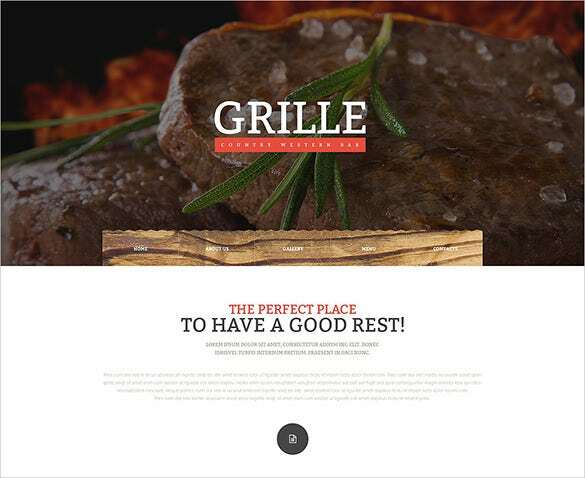 The template shows the best image of a grilled food. The image itself is very alluring. Every foodie out there can only try to resist such good food. 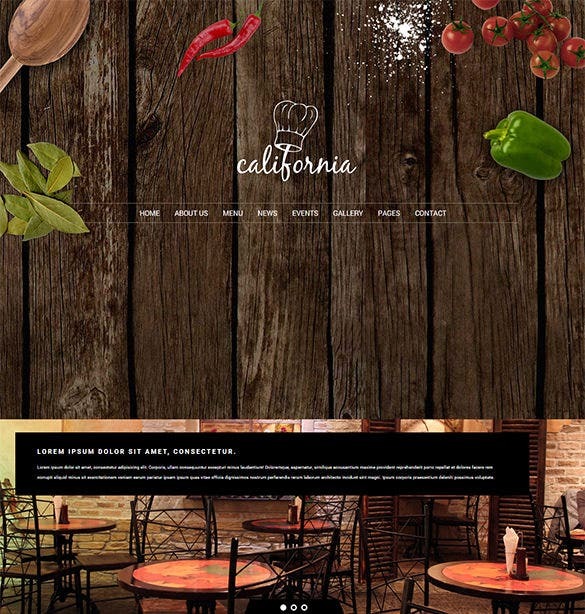 If you are preparing to launch a grill or barbeque restaurant, you should consider this template. 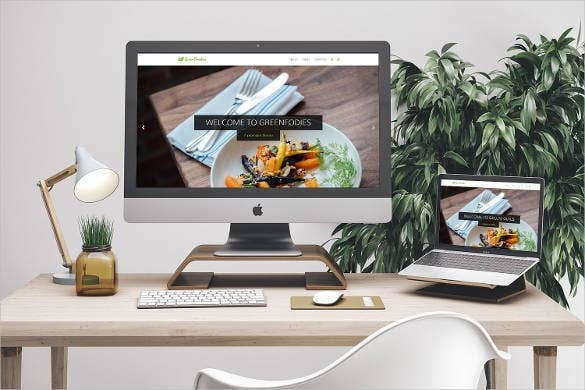 The specially designed simple bootstrap cafe and restaurant website templates are packed with loads of features is just apt for any restaurant, cafeteria, and take away counter and so on. 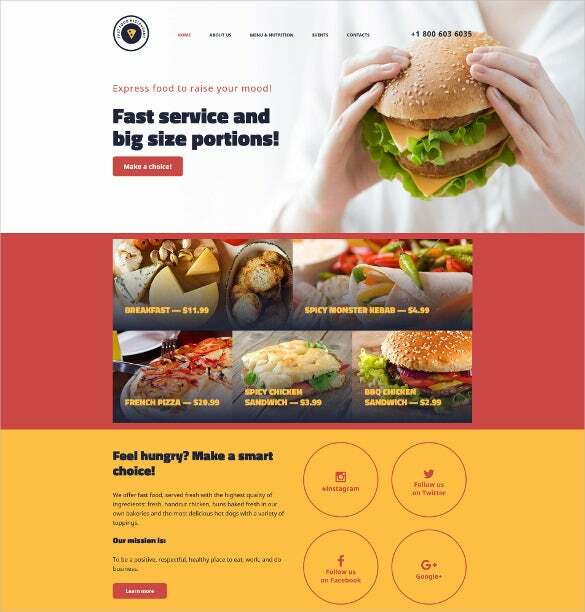 With features like crossbrowser compatibility, Favicon, Sortable Gallery and many other features, this template is all set to showcase the best which one has to offer. 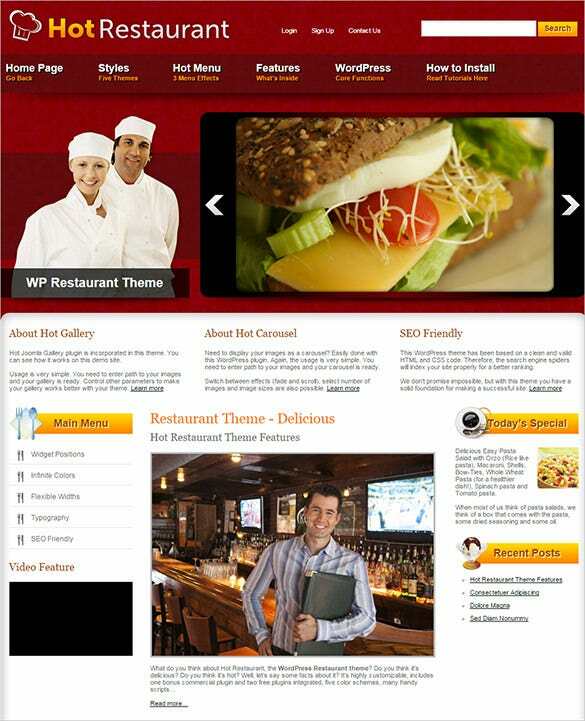 To portray all your ideas in public, the easily customizable hot restaurant WordPress theme is just appropriate. 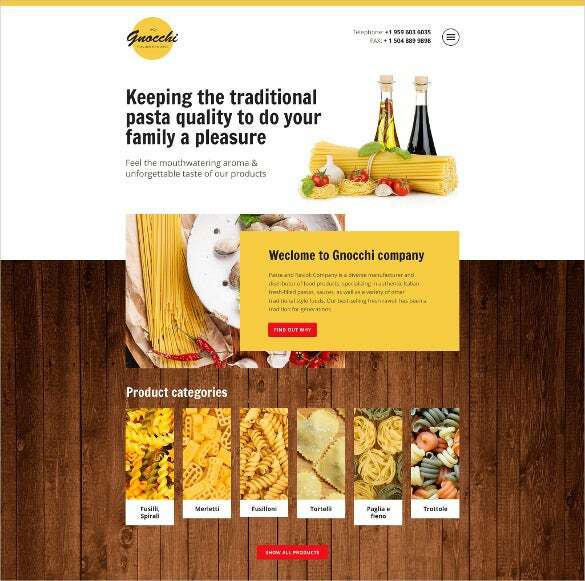 The template is retina ready which helps to display the content in high pixel quality. 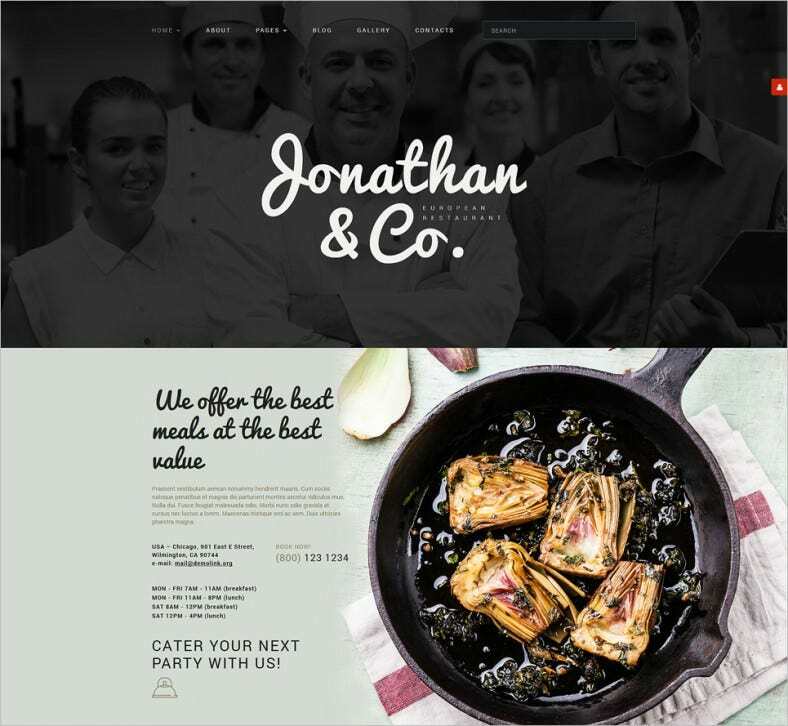 With multiple column layouts, this template has features like sliced PSD, MegaMenu, and Tag Cloud and so on. 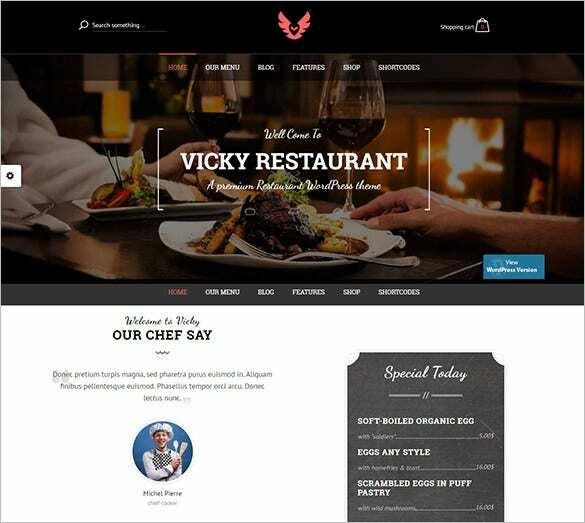 Ideally designed for restaurants, and online food websites, the beautiful restaurant website theme is well documented and is available in PHP and PSD sources. 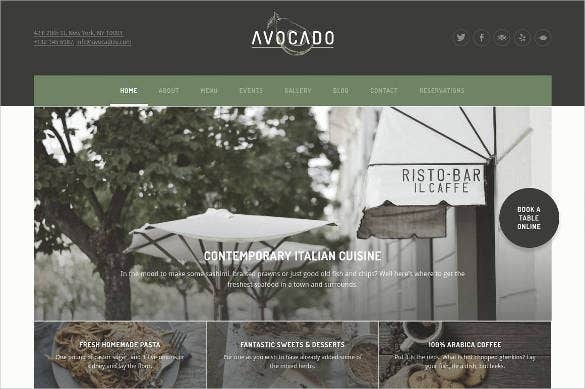 The content of the websites can be displayed in grid and list views. 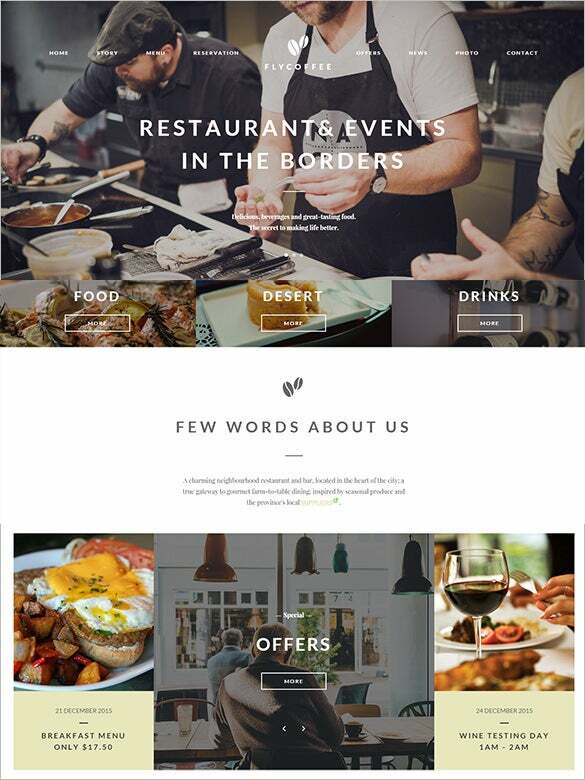 This template has other features like advanced theme options, sliced PSD, and many more. 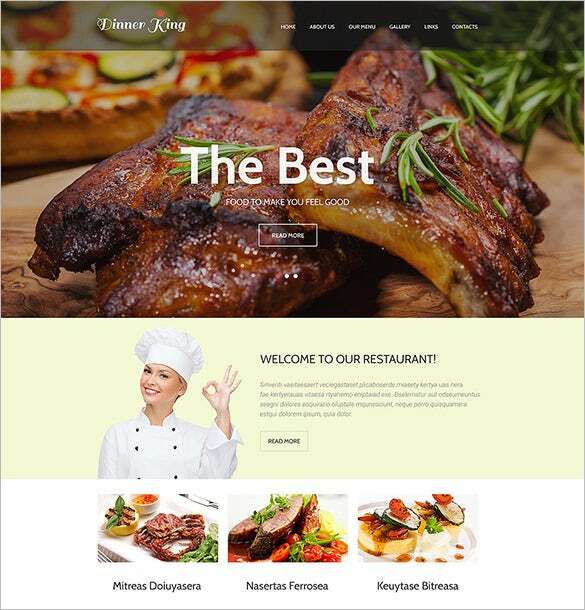 The city restaurant website theme is ideally designed for restaurants which serve specific cuisines and are coded with HTML plus JS for the animated elements of the web page. This template can be easily customised using Adobe Photoshop CS+. Contact form and Newsletter form are the various web forms available with this. 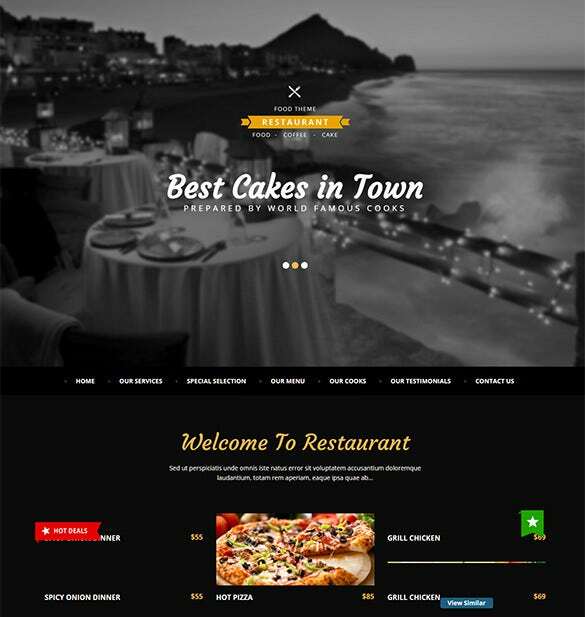 The restaurant one page restaurant HTML5 website theme is packed with features to display you ideas in a more attractive manner. 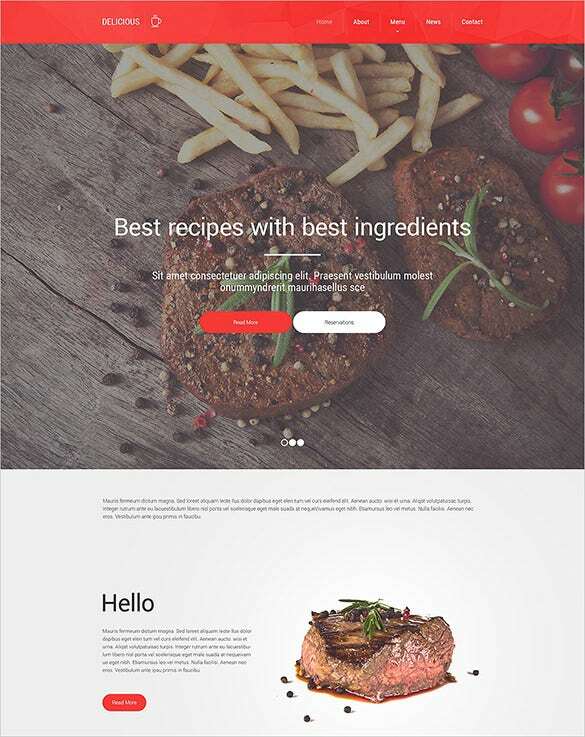 This template has engrossing features like video integration and audio player which allows the user to easily incorporate audio and video documents to the website. 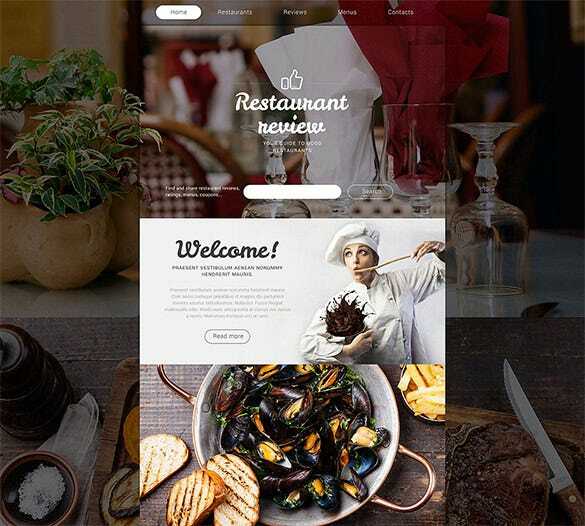 Appropriate for restaurants and cafeterias serving French cuisines, this French restaurant responsive website theme is well documented and 100% mobile-friendly. 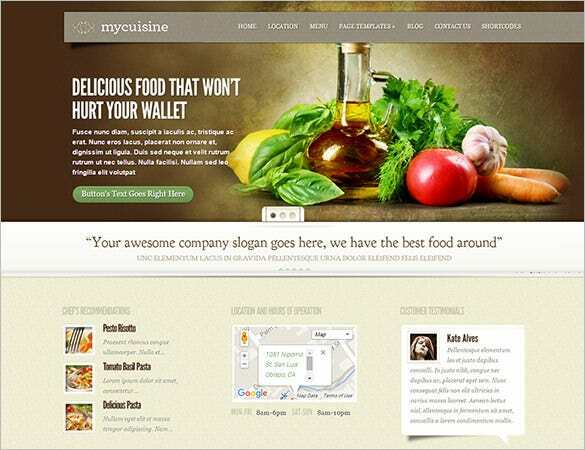 The templates are available in PSD and PHP sources and have the added advantage of various homepage styles. The content can be displayed in both grid and view format. 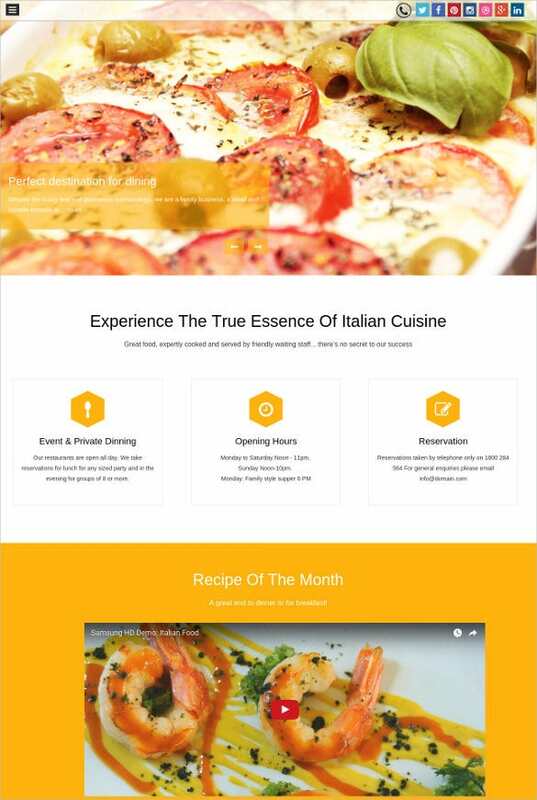 Especially designed for the food bloggers, recipe sites, and restaurants and so on, the Mycuisine restaurant website WordPress theme is loaded with features like social options, quality commenting system, dropdown menu, and Google map and so on. 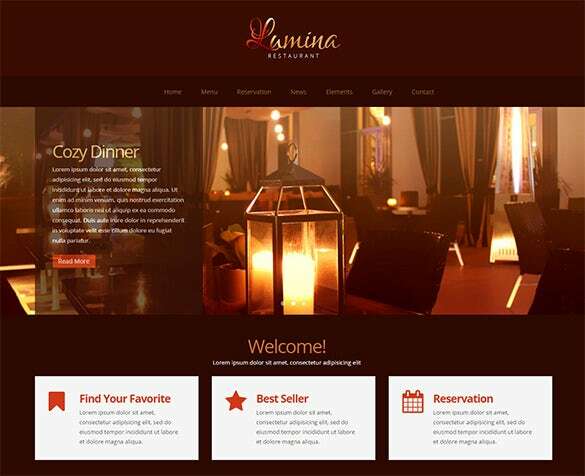 All the modules of the template are customized to go well with the template design. 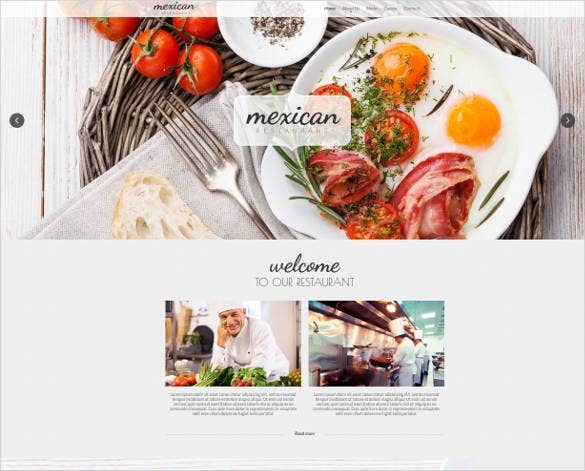 Exclusively designed for the cafeterias to display their specialities and delicacies, the great admin panel cafe and restaurant Joomla website template is just the right choice. 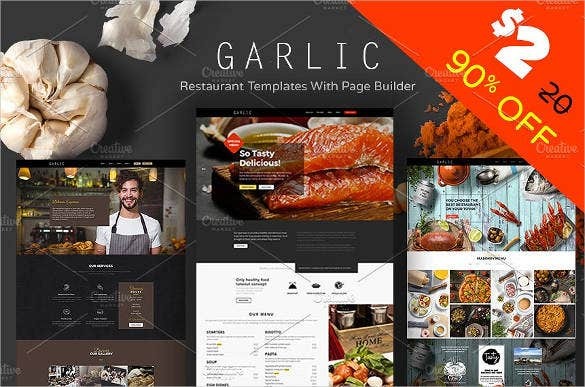 This template is packed with features like modules bundle install, Google web fonts, Favicon, Google map and so on. This template is 100% mobile friendly and well documented. With round the clock support and prompt security and functional updates, with every download you get a guarantee for performance as well. 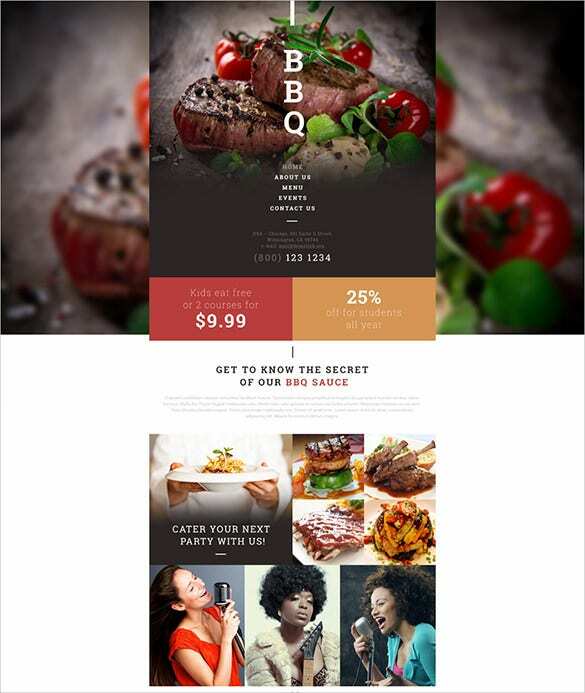 Optimized for mobile and pc viewing, the responsive layout along with the numerous mobile specific plugins such as GPS maps, photo sharing plugins and social plugins, for example, make the templates perfect for your hungry customers.